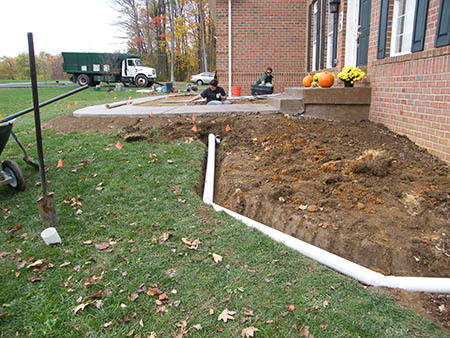 We can help manage runoff by diverting and channeling rain water, thus preventing your topsoil from being washed away. Also, have you thought about letting us put your gutter downspouts and drain pipes underground? This creates a neater appearance for your property and also helps prevent flooded basements and swampy spots in your yard. 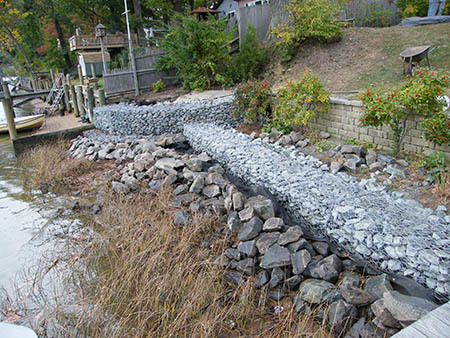 If you have waterfront property, shoreline erosion can be a major problem that literally eats away at your investment. Let us help you plan a stabilization plan that incorporates natural plantings and landscaping to create an attractive waterfront interface.